Richard K. Kim is a partner at Wachtell, Lipton, Rosen & Katz, where he specializes in representing banks, insurance companies, investment banks and other financial institutions in a broad range of regulatory matters, including in connection with mergers and acquisitions, enforcement actions, compliance and related matters. Previously, he was an attorney with the Board of Governors of the Federal Reserve System where he worked on a wide range of bank supervisory matters. He was also Assistant General Counsel with NationsBank Corporation. Recent representations include: Capital One in its acquisitions of ING Direct, HSBC’s domestic credit card business and Chevy Chase Bank PNC in its acquisitions of the U.S. retail banking subsidiary of Royal Bank of Canada, National City and Riggs Bank of America in various mortgage-related and other regulatory matters as well as its acquisitions of Merrill Lynch, MBNA, Montgomery Securities, Barnett and Boatmen’s Morgan Stanley in its conversion to a bank holding company and formation of Morgan Stanley Smith Barney, the United States Department of Treasury in its conservatorship of Fannie Mae and Freddie Mac, JPMorgan Chase in its acquisitions of Bear Stearns and Bank of New York’s retail bank branches, Wells Fargo & Co. in its acquisition of Wachovia GMAC in its conversion to a bank holding company and its agreement to provide financing to Chrysler dealers and customers, CIT in its conversion to a bank holding company, Warburg Pincus in its investments in Primerica, Metavante and National Penn Banc shares, and a number of banks in enforcement and compliance matters relating to a wide range of topics, including Dodd-Frank, antimoney laundering, Basel III capital requirements, Section 4(m) agreements, risk management and affiliate transactions. Richard is a graduate of Stanford University (A.B., 1983) and Columbia Law School (J.D., 1986). He is a member of the Association of the Bar of the City of New York and the American Bar Association where he previously served as Chair of the Mergers and Acquisitions Subcommittee of the Banking Law Committee. 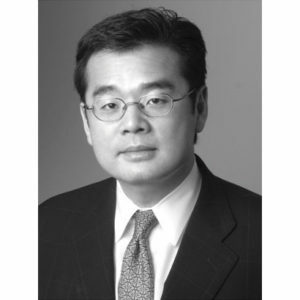 He is also a member of the Board of Directors of the Asian American Legal Defense & Education Fund, the Board of Trustees of the Rye Country Day School and a former trustee of The Stanwich School.